As we barrel closer to the end of the year, holiday music will soon completely take over. The time between Halloween and Thanksgiving is our last vestige for a while so let’s check out some of a cappella’s newest non-holiday releases. "The Birds" came in third at last year’s Boston Regional Harmony Sweepstakes before subsequently surpassing their development funding goal to support its competition and recording schedule. The group is comprised of Haley Castuera, Evan Linsey, Kayla Pichichero, Toria Rainey, and Adrienne Rube. The Bostonian quartet first met in college before forming in 2013. They have just released their first album “Come Around” and it is filled with touching and moving original music. The album is finally out and this one is going to be big! The 13-track album that was almost a year in the making came out today and it’s full of Disney magic. Deke Sharon is billed as co-creator, music director, arranger, and album producer. In the hands of Deke Sharon, we know this group will be a smash. The Disney a cappella project keeps churning out your favorites with their signature twist. The tour starts January 22 — do you have your tickets yet?! Fresh from their showcase at CASA’s 2018 SoJam, ember released their much anticipated first music video. This single was released at the beginning of the year yet the video helps us feel the glow of the embers even deeper. Approaching a cappella from what it wants to see out of the style, ember is focused on creating a “pop-minded and ear-to-the-ground sound." Formed in December 2017, their goal is to “serve as an incubator and quality outlet for Baltimore's most motivated and talented singers and musicians, fill a gap in Baltimore's current market, and help to involve vocal music in an already vibrant music scene,” according to group founder Hansel Romero. Peter Hollens’ latest release features his wife Evynne and Mike Tompkins, and it's awesome. It’s an EDM version of the Sugar Plum Fairy from the Nutcracker. Hollens jokes in the video’s description, “Who wins? Us or Pentatonix? Trap Christmas music for your ears.” But we’re purposely avoiding holiday music in this roundup so here is his penultimate release. Whenever a movie musical comes out, it’s inevitable to get scores of a cappella covers and medleys. Just as we wind down from all the heart-wrenching covers of tunes from “A Star is Born,” we started getting Queen medleys to celebrate the new film “Bohemian Rhapsody”. Don’t miss Peter’s; he never disappoints. 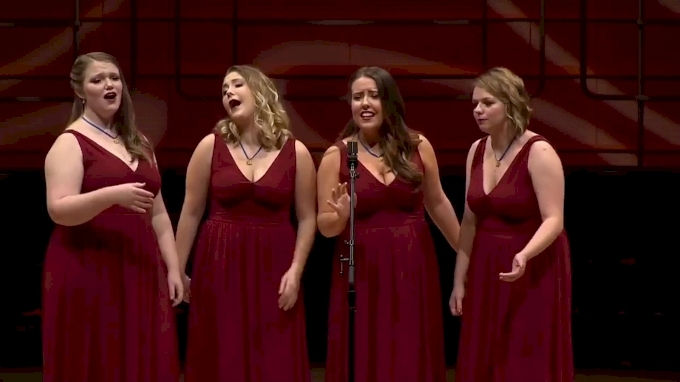 The Iris Vocal Trio was this year’s Varsity Vocals International Championship of A Cappella Open (or just The Open, for short) big winner this fall at Carnegie Hall. Since their big win (which came with a $25,000 cash prize) they’ve been diligently recording and shooting to get their content out to the world. Their style of performing classic songs with new and contemporary twists suits them very well and we can’t wait to hear what they come out with next! What else have you seen this week?